There are 1001 homebuyer tips out there and you can spend days reading them all, but if you've never bought a house before, it really does pay to educate yourself a little bit about the home buying process. People are becoming a lot more educated these days when it comes to buying property or even buying things. We're doing our research, reading reviews, and arming ourselves with information so that we are not swindled or caught off guard. Being in the real estate business for decades has definitely given us the experience to help buyers find exactly what they are looking for. 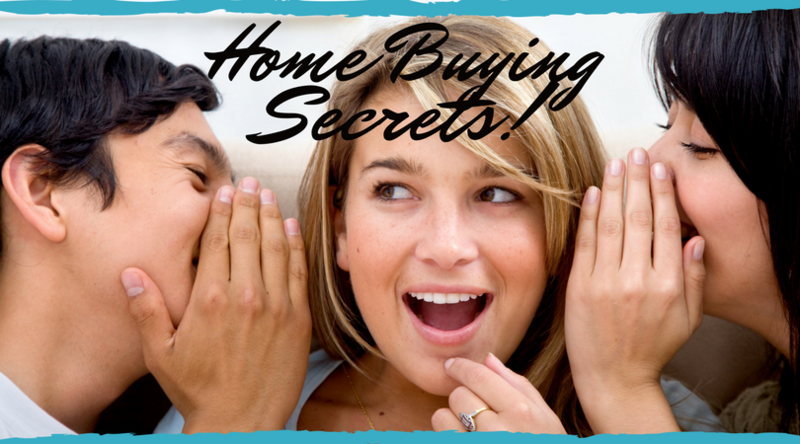 In our experience, here are some of the best-kept secrets that shouldn't be secrets at all. #1. Don't stress too much about the market. Don't obsess with trying to time the market and find out exactly when the best time is to buy. Anticipating a housing market is extremely stressful so talk to your real estate agent about the market and by the home you like when you find it. Real estate markets go up and down all the time so if you're waiting for the perfect time, you'll probably miss it. Don't stress so much about the timing but find the right house for you. Read More: Does having an HOA increase the property's value? #2. Bigger is not always better. Square footage is something a lot of people don't think about until they're looking at homes. But consider how much square footage you have now. Do you even know how much square footage you are currently living in? The average is between 1000 ft.² and 3000 ft.². Is the amount of home you have now too much or too little? Is not always better. It just means there's more to clean and more energy costs to heat or cool the area. This is the difference between renting and homeownership. Sleeper costs go beyond the mortgage payment and include property taxes, utilities, homeowner association dues and insurance. You might be able to afford the initial mortgage payment but everything else that comes along may break the bank. Talk to your lender about combining all of these fees if possible to more affordable payment. #4. Try not to fall in love. You're buying a house, not marrying it. Try to keep your emotions out of the deal so that you can make wise financial decisions throughout the transaction. Go with your gut on certain things instead of your emotions and get advice from your real estate agent and listen to your home inspector. You might love the house from the outside but realize it's a bad financial decision based on all of the problems the home may have. Our team works with both buyers, sellers and mortgage lenders throughout the Palm Desert area. You can get a loan and a house all in one stop shopping. Call us today to learn more or browse the website for more details and advice for homebuyers and sellers.